In this file photo, surrendering Taliban militants stand with their weapons as they are presented to the media on November 4, 2010 in Herat, Afghanistan. The new leader of the Afghan Taliban vowed to continue his group's bloody, nearly 14-year insurgency in an audio message released Saturday, urging his fighters to remain unified after the death of their longtime leader. The audio message purportedly from Mullah Akhtar Mohammad Mansoor also included comments about peace talks, though it wasn't immediately clear whether he supported them or not. Mansoor took over the Taliban after the group on Thursday confirmed that former leader Mullah Mohammad Omar had died and said they elected Mansoor as his successor. The Afghan government announced Wednesday that the reclusive mullah had been dead since April 2013. "We should keep our unity, we must be united, our enemy will be happy in our separation," Mansoor purportedly said in the message. "This is a big responsibly on us. This is not the work of one, two or three people. This is all our responsibility to carry on jihad until we establish the Islamic state." Taliban spokesman Zabiullah Mujahid sent the audio to journalists and others Saturday. The Associated Press could not independently verify the man speaking in the roughly 30-minute audio clip, though the Taliban spokesman is in charge of all communications for the group. Mullah Omar was the one-eyed, secretive head of the Taliban, whose group hosted Osama Bin Laden's al-Qaida in the years leading up to the Sept. 11, 2001, attacks. He had not been seen in public since fleeing over the border into Pakistan after the 2001 U.S.-led invasion. The new leader of the Taliban is seen as close to Pakistan, which is believed to have sheltered and supported the insurgents through the war. Whether he'll be keen to sit down for peace talks with the Afghan government remains in question. 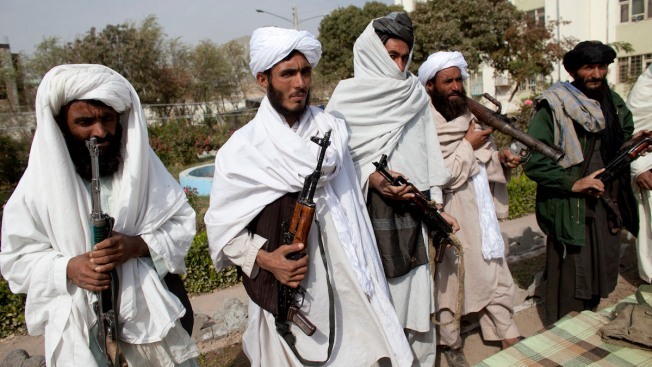 The Taliban pulled out of talks scheduled for Friday in Pakistan after Mullah Omar's death became public. Taliban attacks against Afghan officials and forces have intensified with their annual warm-weather offensive. Local security forces increasingly find themselves under attack as NATO and U.S. troops ended their combat mission in the country at the end of last year.